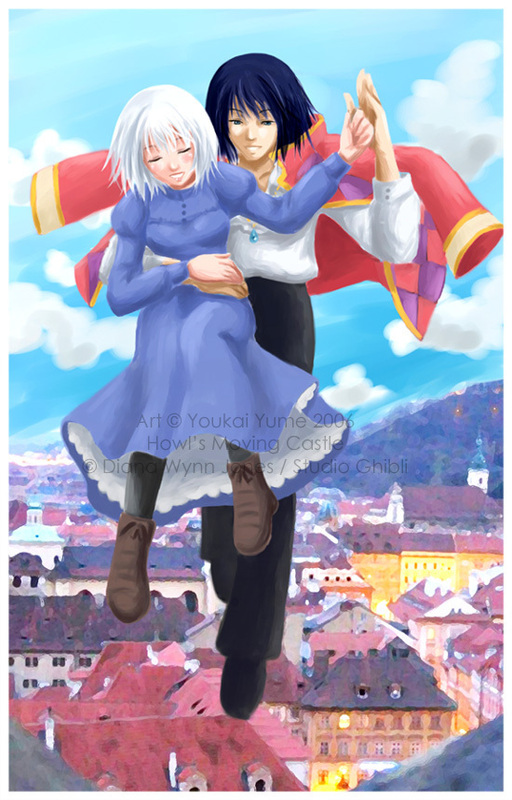 Howl/Sophie - Swept off my Feet. . HD Wallpaper and background images in the Hayao Miyazaki club tagged: swept off my feet hayao miyazaki howl sophie howl's moving castle.